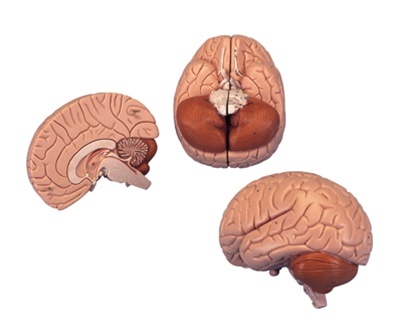 Made in Germany by 3B Scientific, this life-size 2 part colored brain model that is medially divided allows you to a closer examination of interior structures and to identify the various structures and regions of the brain. This brain is perfect for beginners or those who are just beginning to study human nervous system and anatomy because of its very reasonable price. COMES W/ A STAND- comes with a removable base, perfect for a steady presentation or even for an office or a clinic display. This model is made solely from a high-quality pvc material that is known for being tough, durable, lightweight and abrasion resistant.